Over the past four years I have immensely enjoyed building this blog and sharing the recipes that I have been making for my own family. But feedback from a lot of my readers has suggested that you guys would like an easier way to find and view the most popular recipes from the blog. With over 400 recipes on here I know it can be difficult to seek out the recipe you want quickly and easily, especially when you are on your phone and need to get food on the table fast! So for this reason I decided to create and app which offers an easier means by which you can access the most popular blog recipes. 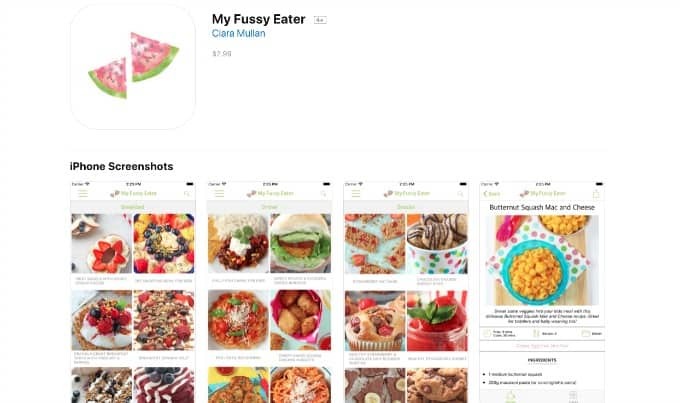 The App contains over 100 recipes broken down into Breakfast, Lunch, Dinner, Snacks, Drinks and Desserts. 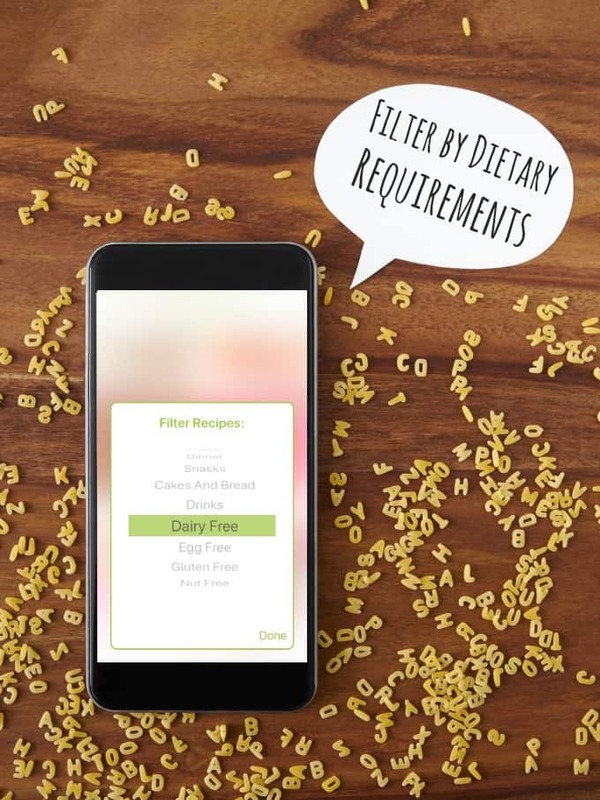 You can also filter the recipes by dietary requirements, making it easier to search for suitable recipes if you allergies or intolerances in your family. I wanted the App to be a useful resource for all my readers, no matter where in the world you are based and so within the settings you can choose to view the recipes either in UK Measurements (grams, millilitres, etc) or US Measurements (cups, ounces, etc). I also wanted to include a meal planner where you can plan Breakfast, Lunch and Dinner for your family for a whole week using the recipes in the App. The meal plan is easy to amend if you change your mind or you can even drag and drop recipes to later in the week. Once you have set out your meal plan the app makes it super easy to create a shopping list which automatically calculates not only the ingredients but the amounts needed for all your recipes. You can also send ingredients straight from a recipe itself to the shopping list, without the need to create a meal plan. The shopping list can be then viewed on the app or exported to somewhere else on your phone including your Notes. 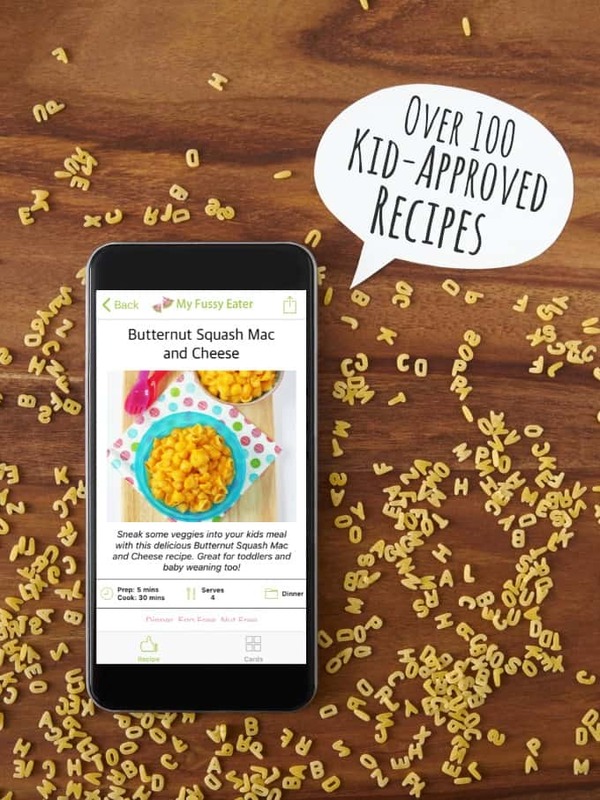 I really hope this App becomes a helpful tool in helping you to plan and shop for your family meals. If you buy the App I would be very grateful if you could leave a star rating and a short review. Also feel free to email me [email protected] with specific feedback that I can address in the next App update.